There has been a pot sitting on the patio all winter. It had a coloured zantedeschia in it last summer and I didn’t look after it and it is well and truly frosted. So I finally cleared it away and made a whole community homeless. 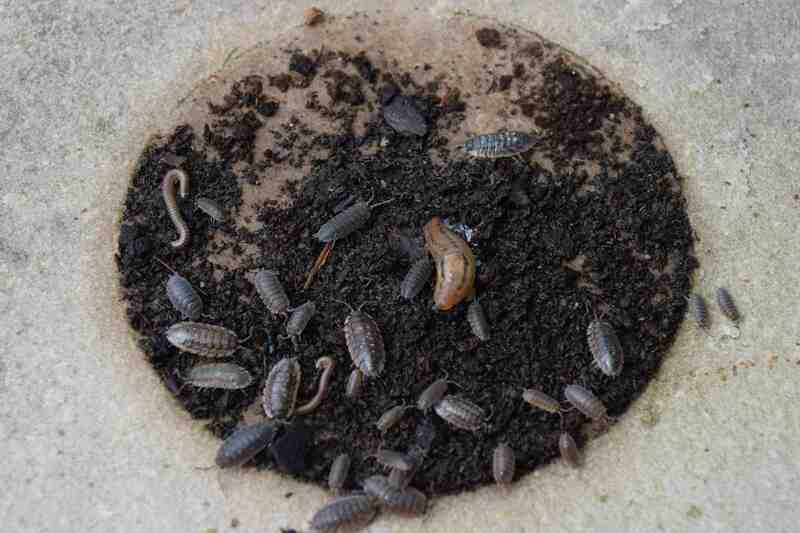 At least two species of woodlouse, two millipedes and a slug all had to crawl off and find new places to live. It just shows how important good hygiene in the garden is – all of them munch on plants!